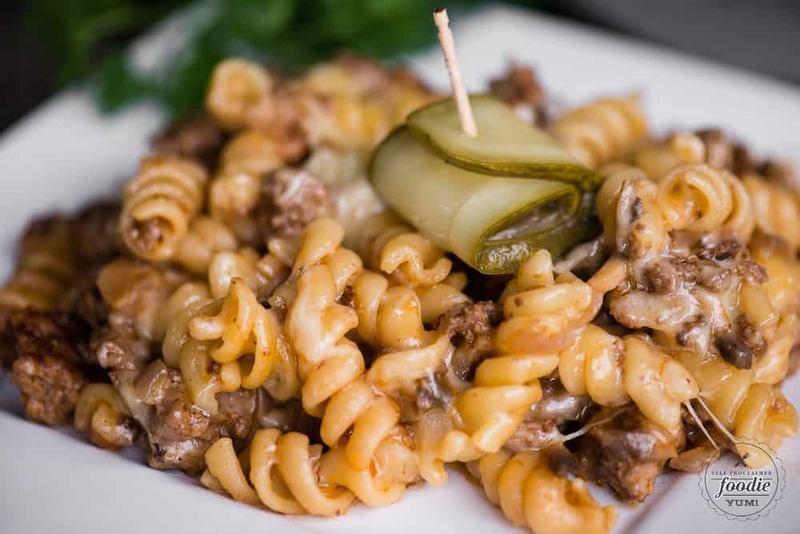 Cheeseburger Casserole combines pasta with all of your favorite cheeseburger ingredients. Instead of a bun, you get a meal full of hot cheesy pasta loaded with ground beef, onion, mushrooms, ketchup, mustard and topped with pickles. You will love at how similar this pasta casserole tastes compared to the real thing! Cheeseburger Casserole combines the best of both worlds. 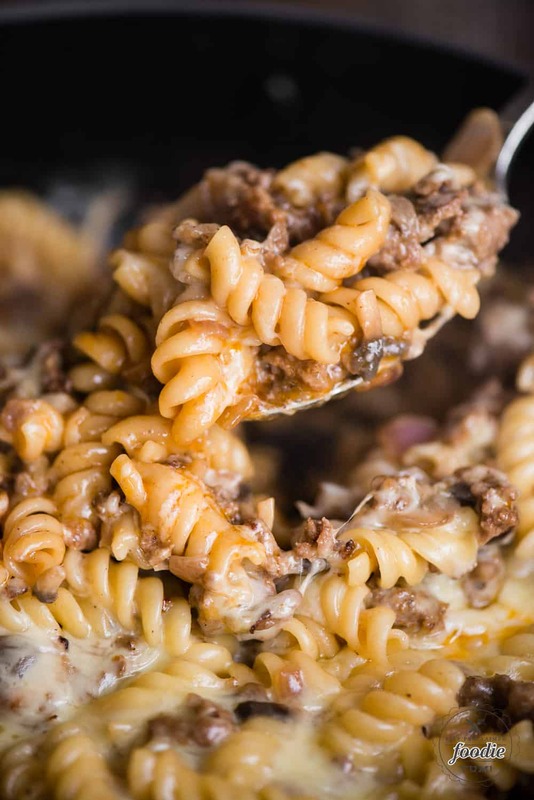 This easy dinner recipe has two main components that make their way into our family dinners on a weekly basis – ground beef and pasta. I grew up on those two main ingredients. As much as I like to branch out and be creative in the kitchen, I always end up serving at least one meal who’s main ingredient is ground beef or pasta every single week. What can I say? I’m a creature of habit! The first time I made this recipe, I decided to add the pickles at the very end when I served up the cheeseburger casserole instead of incorporating them into the recipe. I did this for two reasons. First, I didn’t want the pickles to get soggy by cooking them. 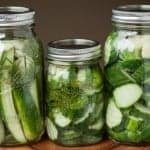 I like my pickles to have some bite to them. Second, people’s love of pickles can vary. 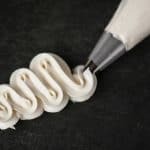 If you serve them as an “extra” to the meal, they can eat as many or as few as they like. I prefer lean ground beef when making casseroles. In fact, I stock my freezer with the leanest beef you can find which is from pasture raised grass fed cows. The reason I recommend using a lean ground beef when making a casserole is because a fatty ground beef will create grease which will pool on the top of your casserole. 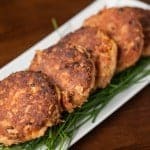 When you add three cups of shredded cheese like I did in this recipe, you don’t need any additional fat from the meat. Casserole Dish: This one is on my wishlist! 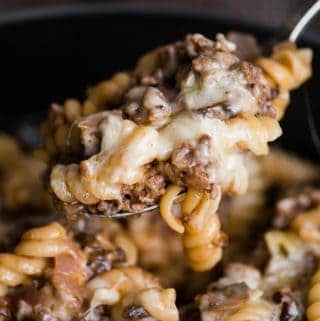 Cheeseburger Pasta Casserole is filled with all of your favorite cheeseburger ingredients, Instead of a bun, it's served in a hot cheesy pasta meal! 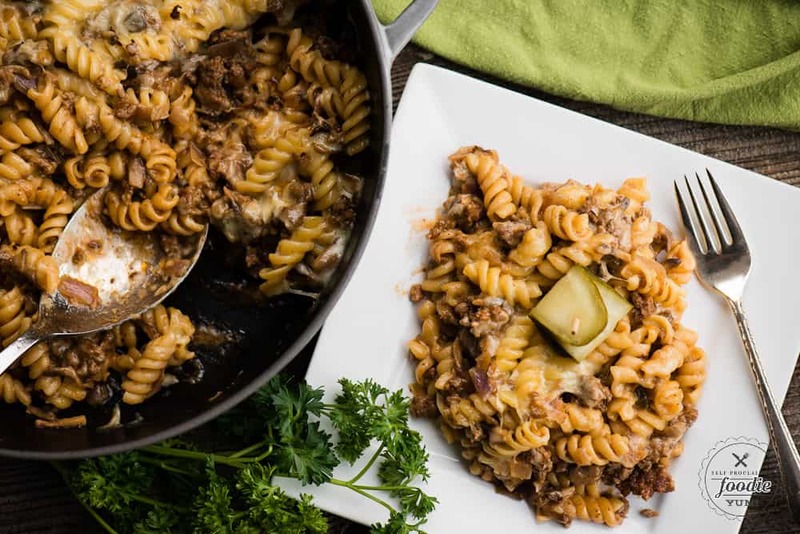 Loaded with onion, mushrooms, ketchup, mustard, cheese, and topped with pickles, you will love at how similar this pasta casserole tastes compared to the real thing! In a separate bowl, combine beef broth, ketchup, mustard, Worcestershire sauce, and corn starch. Mix well to ensure mixture is smooth. Loved it! Used gluten free rotini, followed your advice to include the pickles and topped mine with some franks red hot. 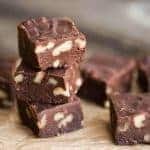 Thanks for the easy and delicious recipe!